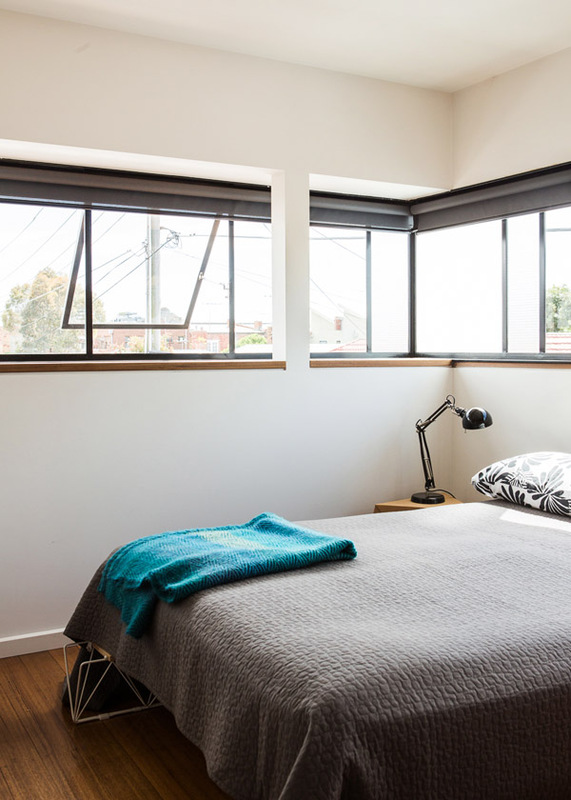 Today we are heading to Seddon, suburb of Melbourne, Australia. 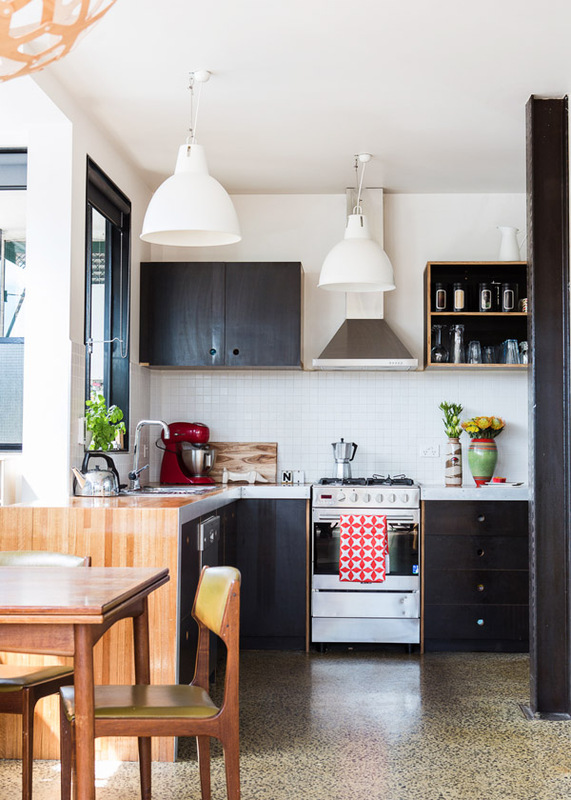 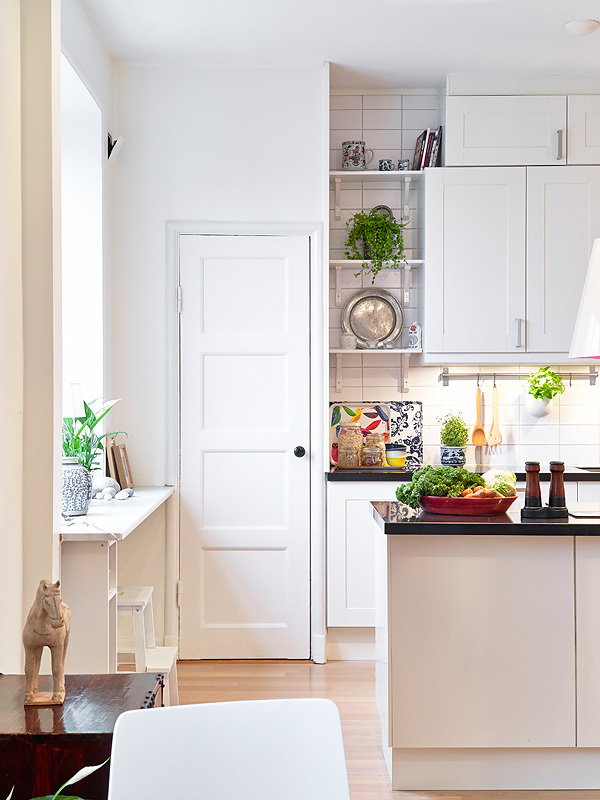 Emma and Damon have been living here for twelve years, and have managed to squeeze four bedrooms and two bathrooms into this modest Victorian cottage. 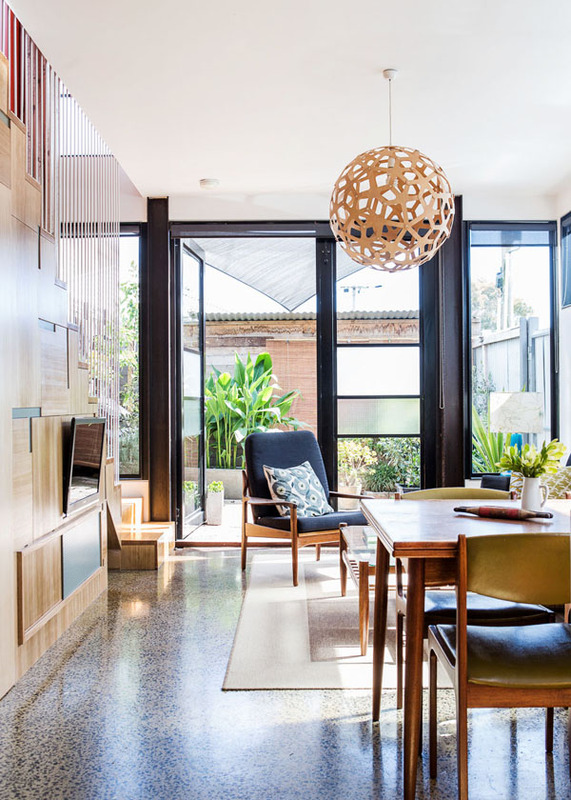 The Scandinavian and mid-century design is clearly present here, but also a distinctly Australian aesthetic, using a colour palette of desert orange and gumleaf grey/green. 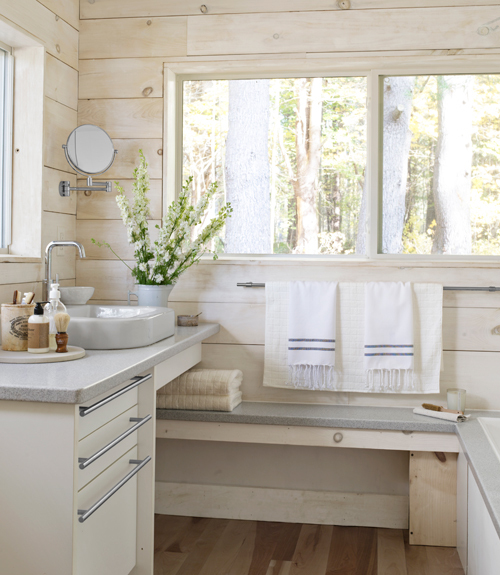 Pure and simple, this traditional Massachusetts cabin would be perfect for a weekend retreat in total serenity. 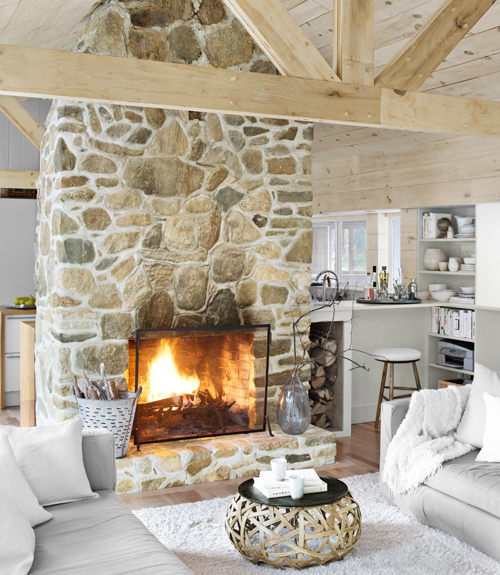 Three years ago, the owners filmmaker Bobby Houston and his partner Eric Shamie decided to turn this 1960s rancher in the Berkshire mountains into their own personal getaway. 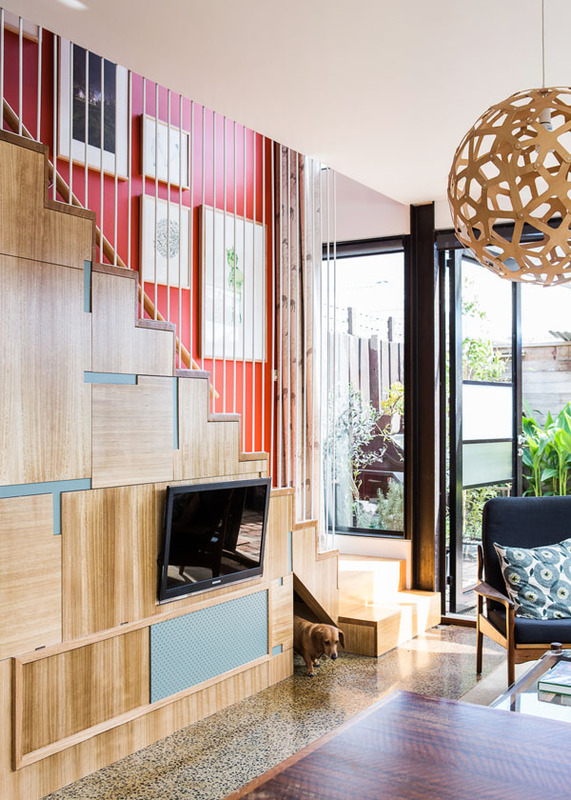 Bobby and Eric added an abundance of windows to make the house feel like a part of nature, rather than a retreat from it. 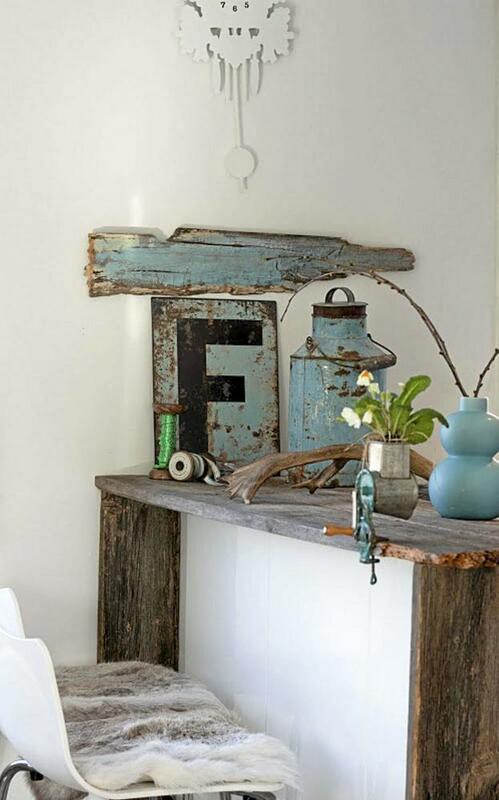 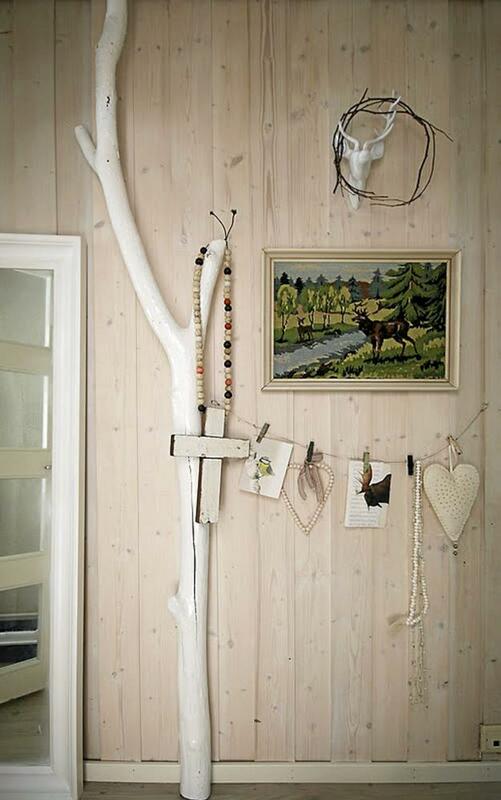 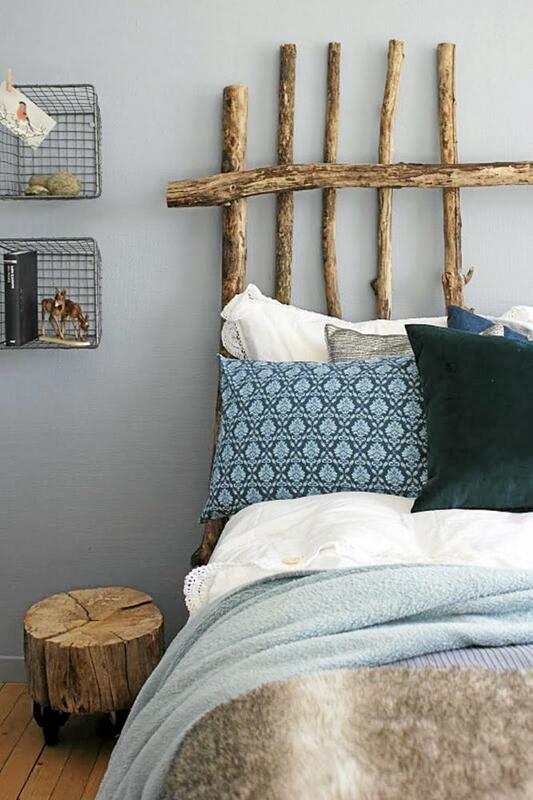 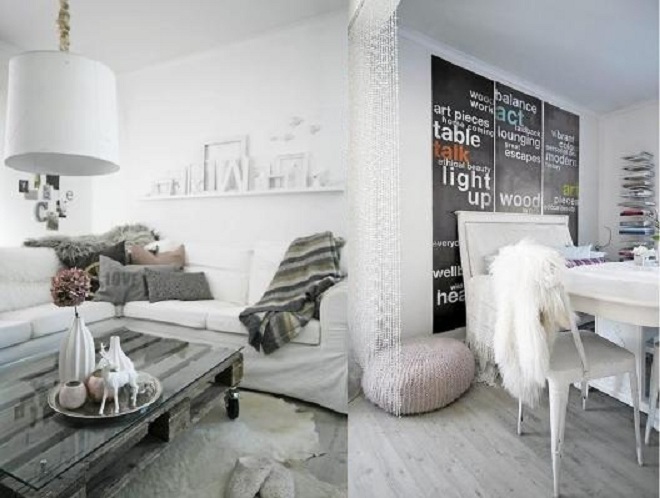 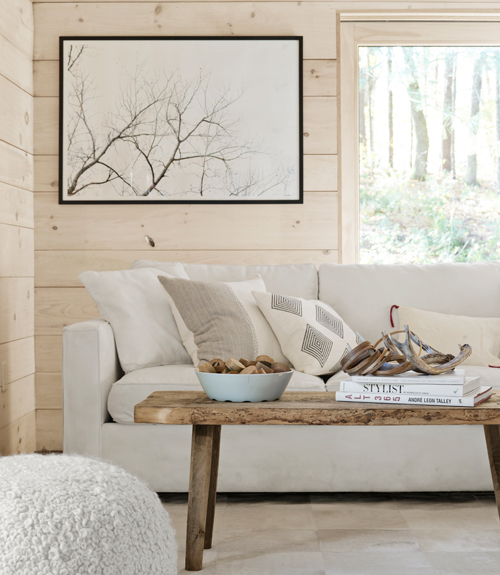 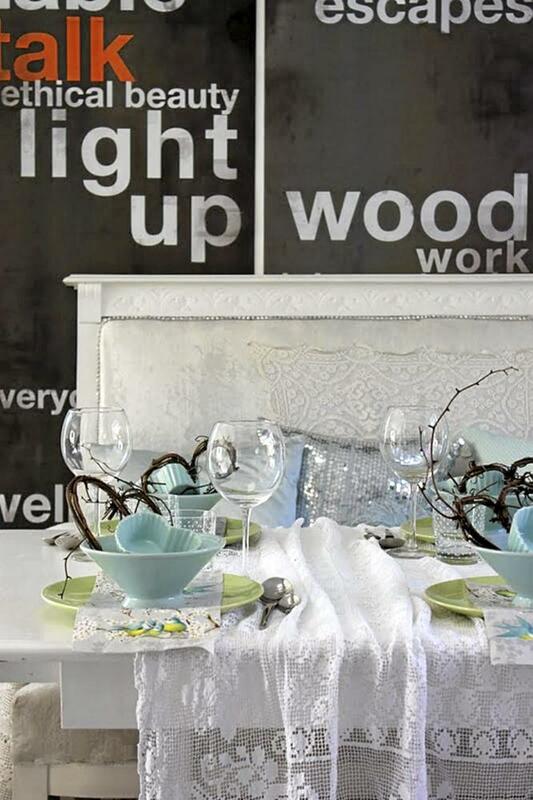 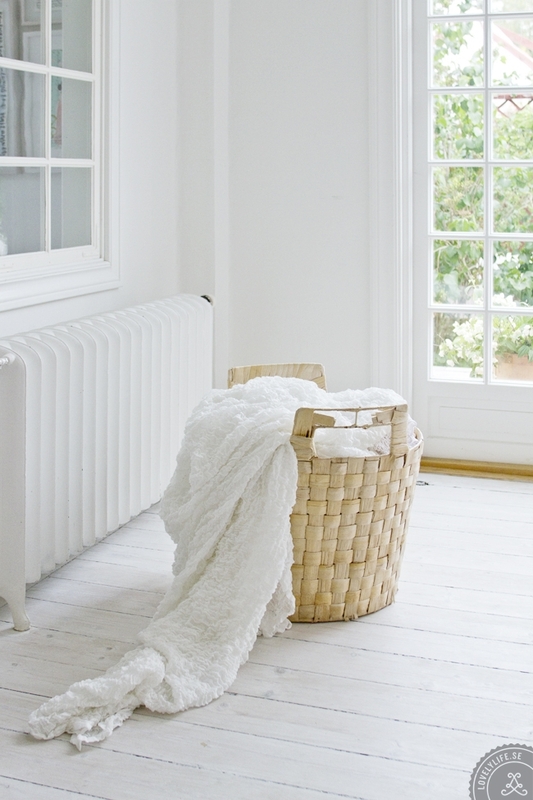 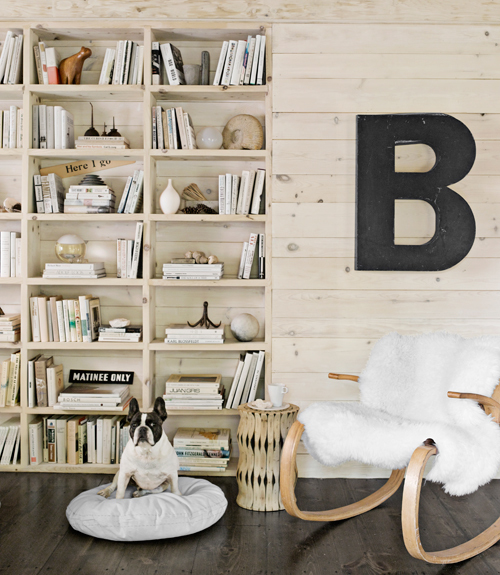 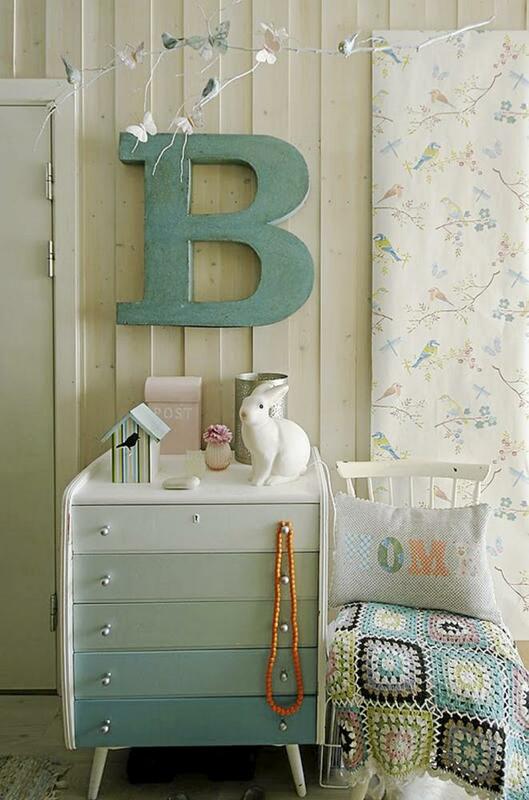 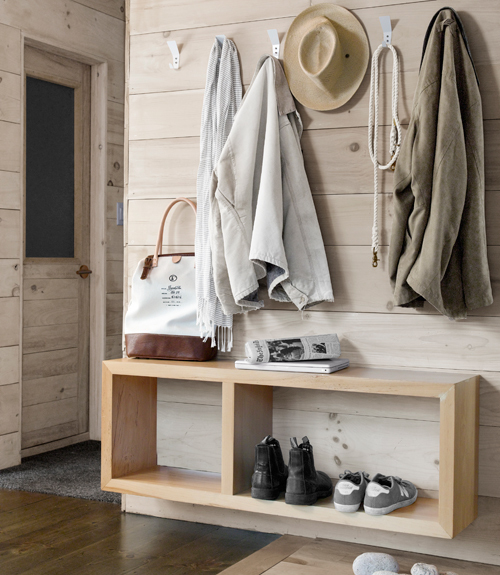 Bright wood, white furniture, stone wall… everything reminds us nature ! 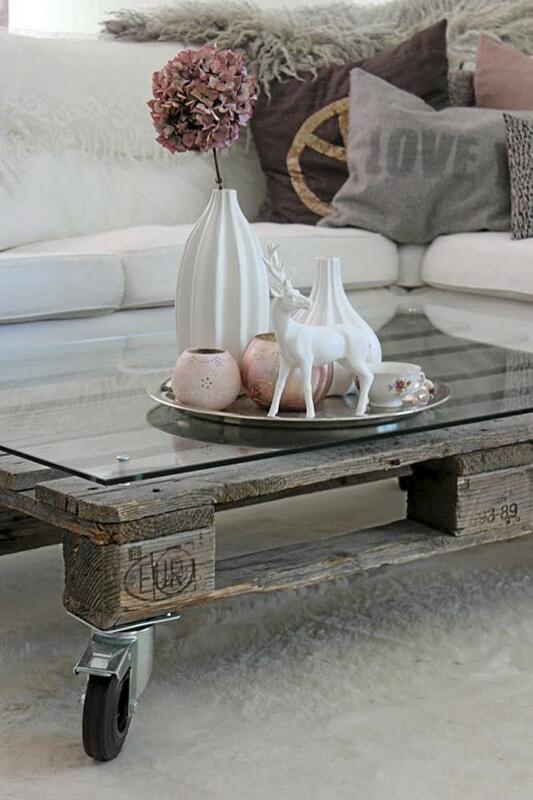 I love the cool wood effect of the coffee table in the living room ! 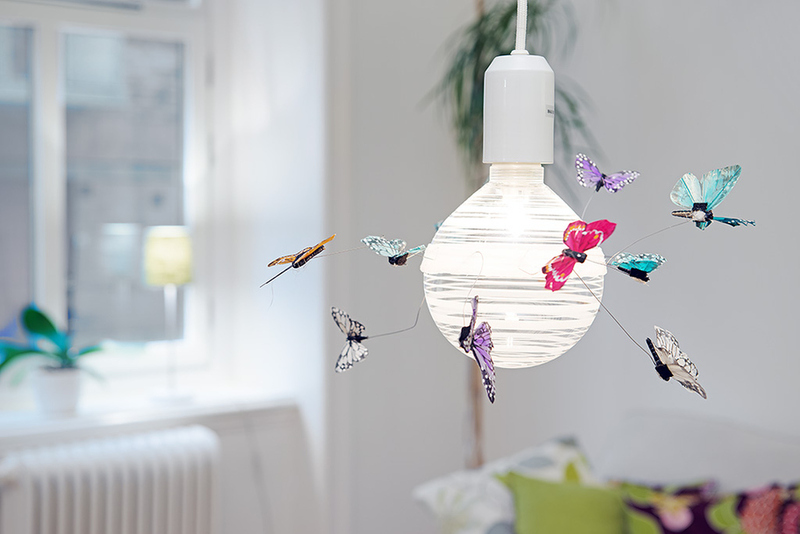 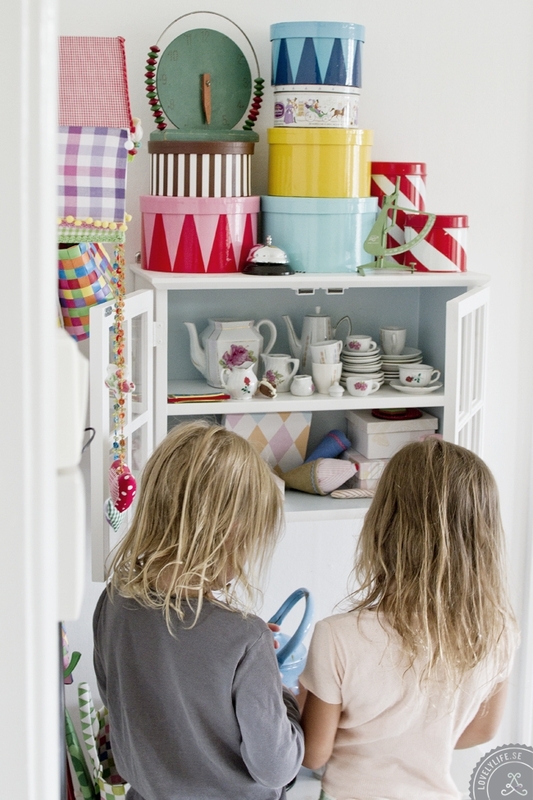 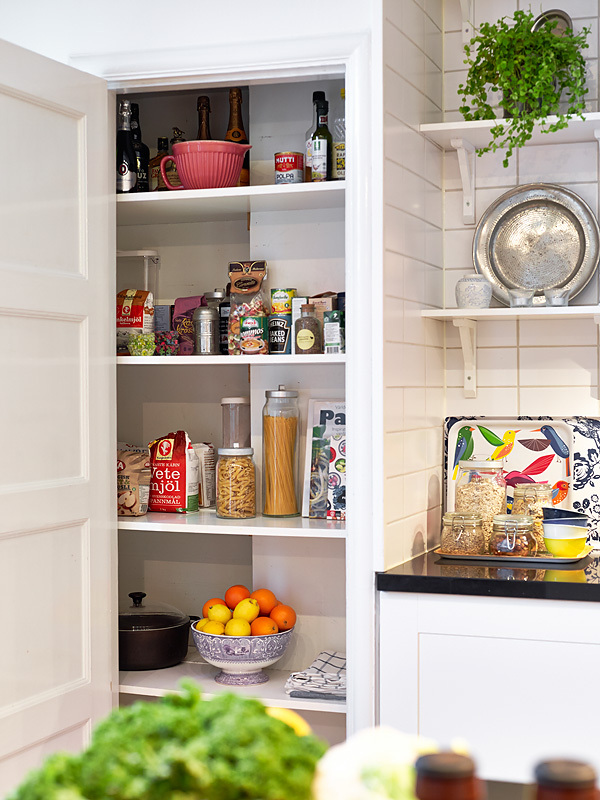 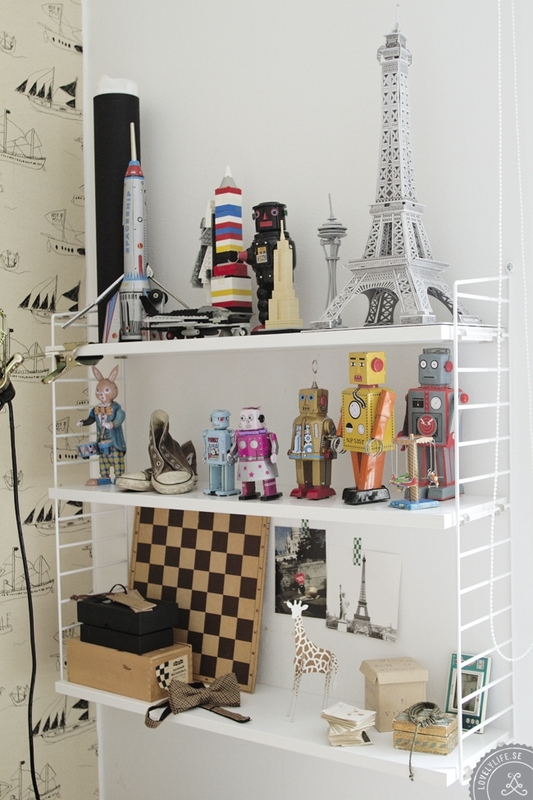 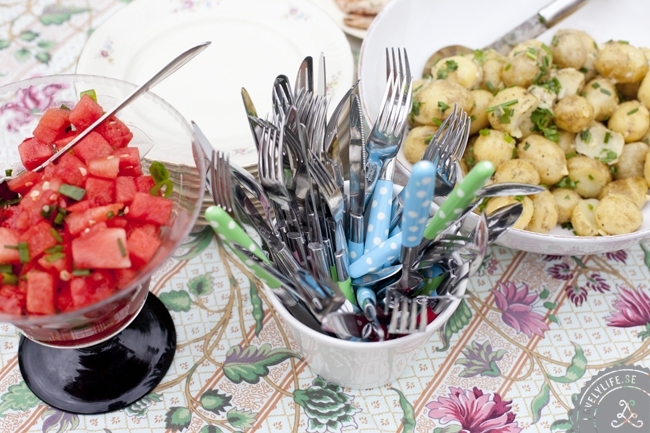 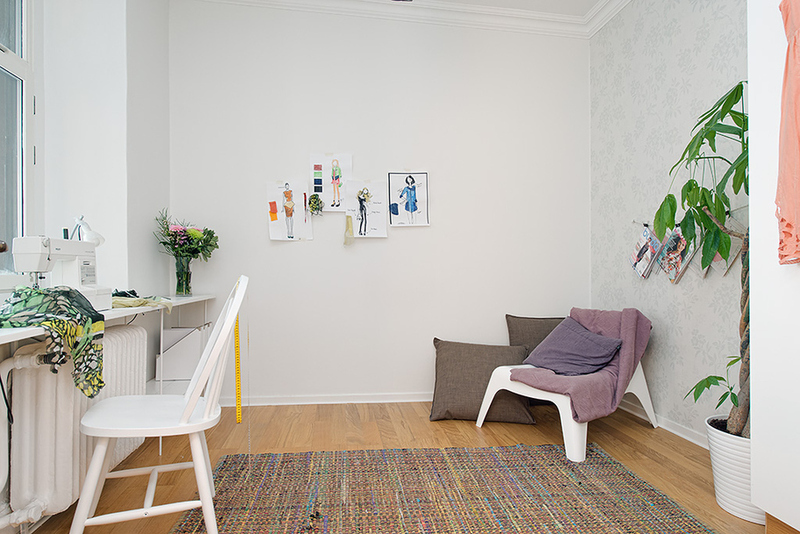 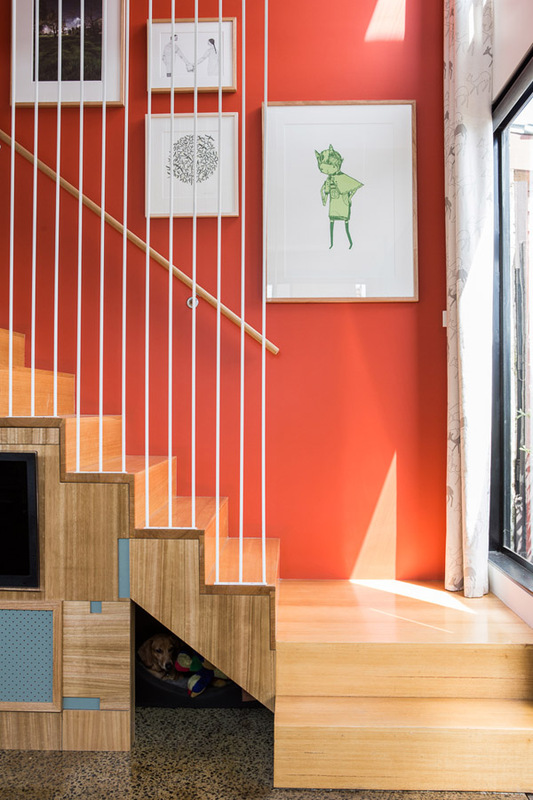 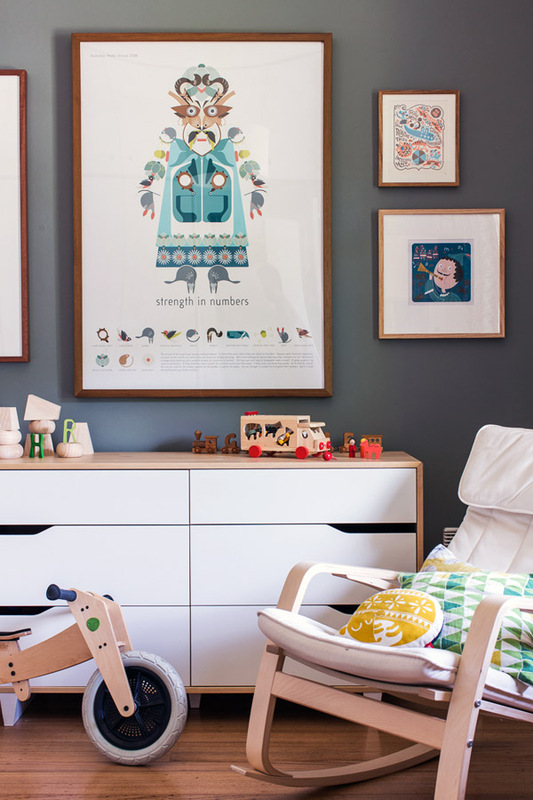 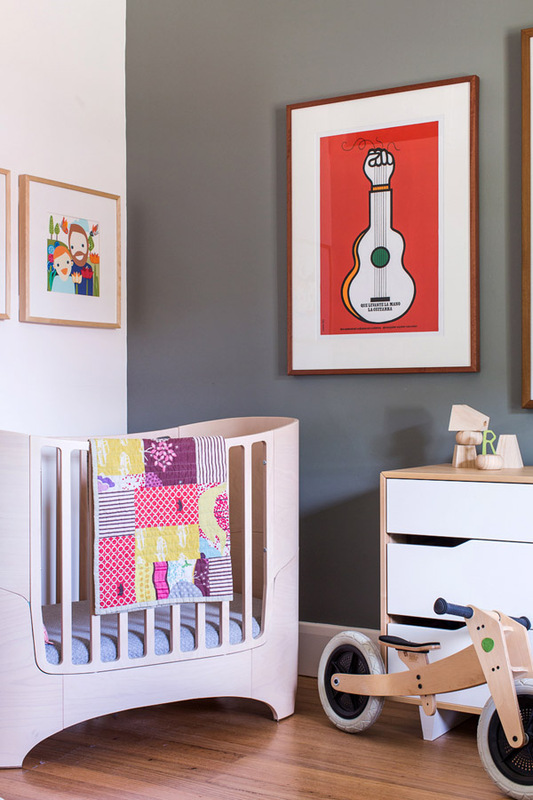 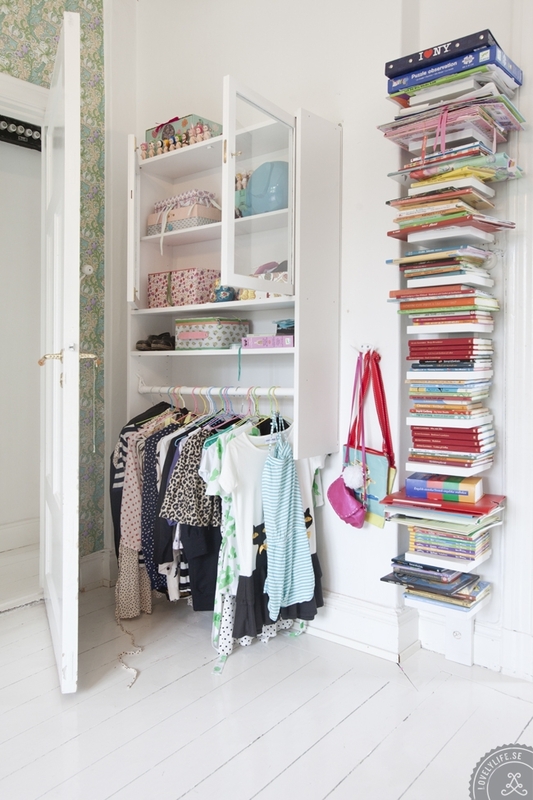 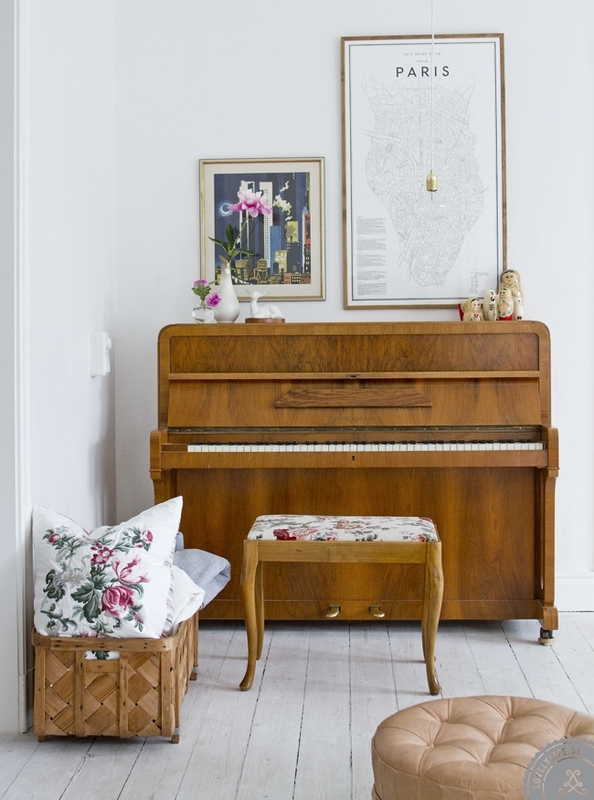 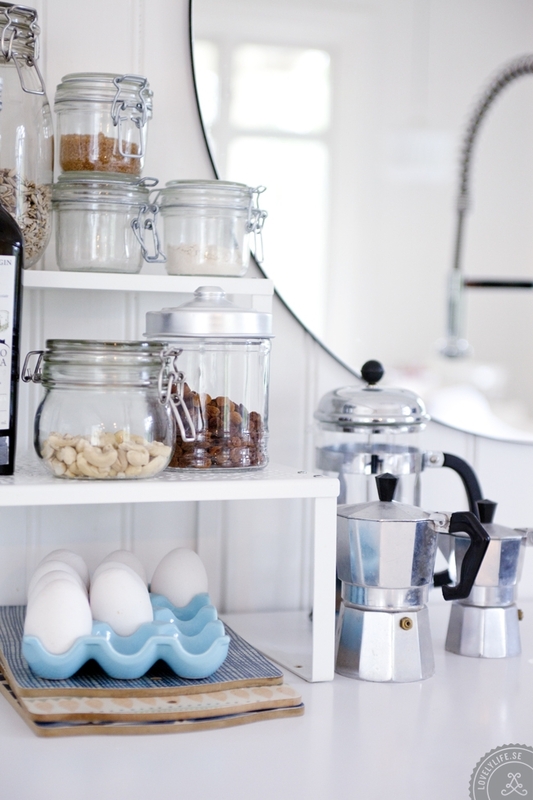 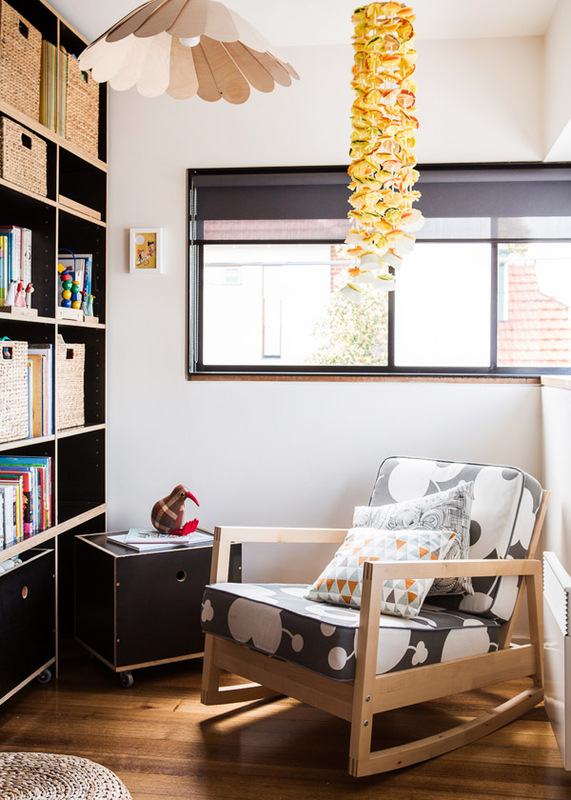 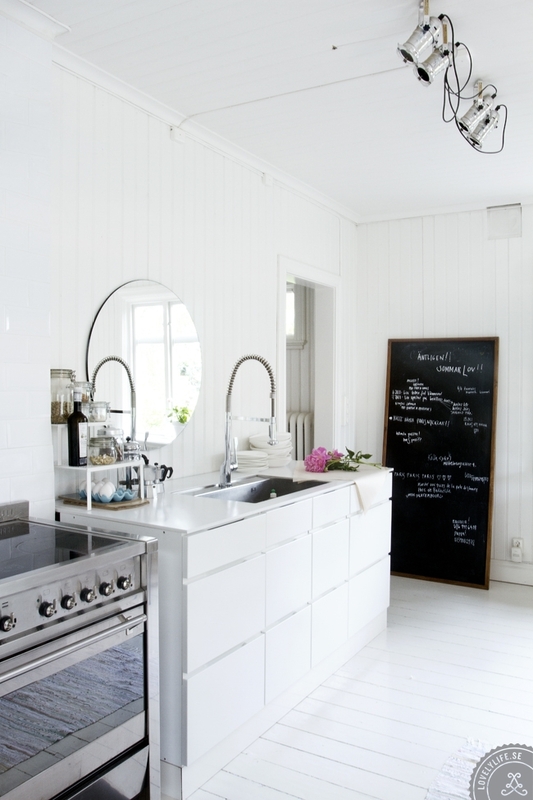 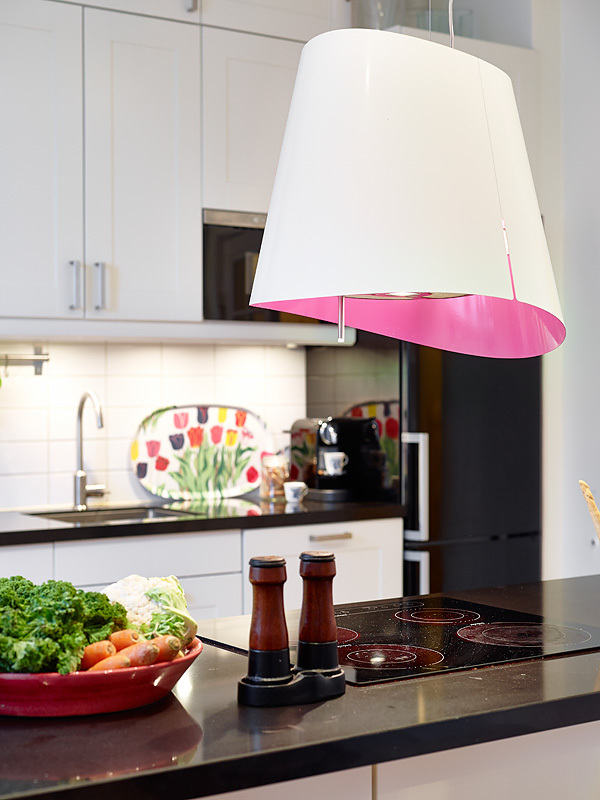 Sofia moved here five years ago, with her husband and four children in this creative home in Katrineholm, Sweden. 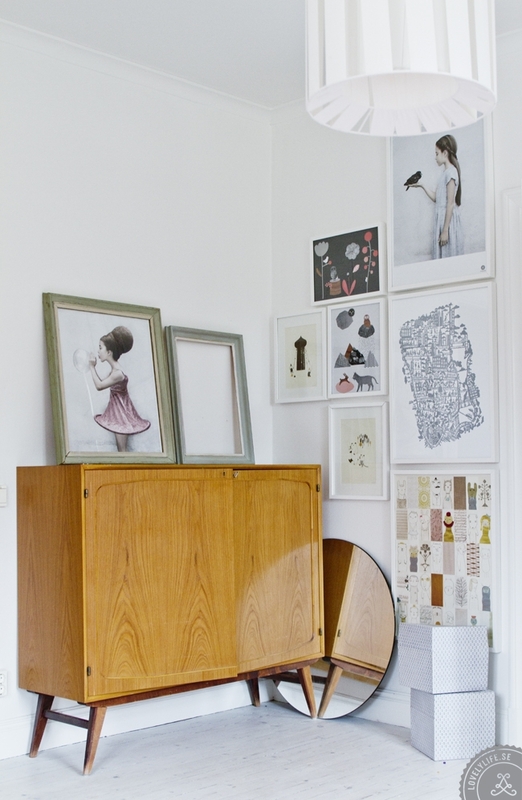 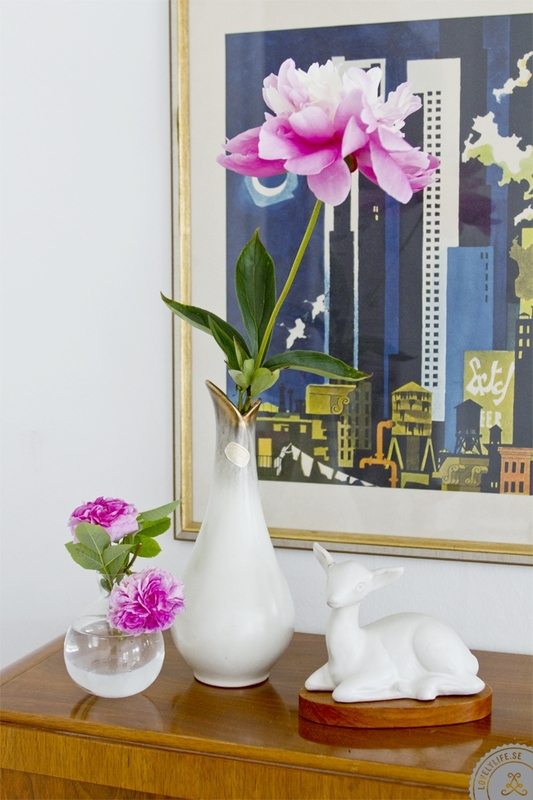 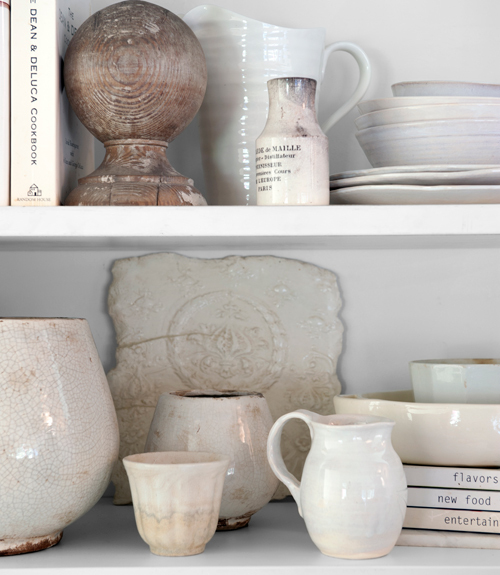 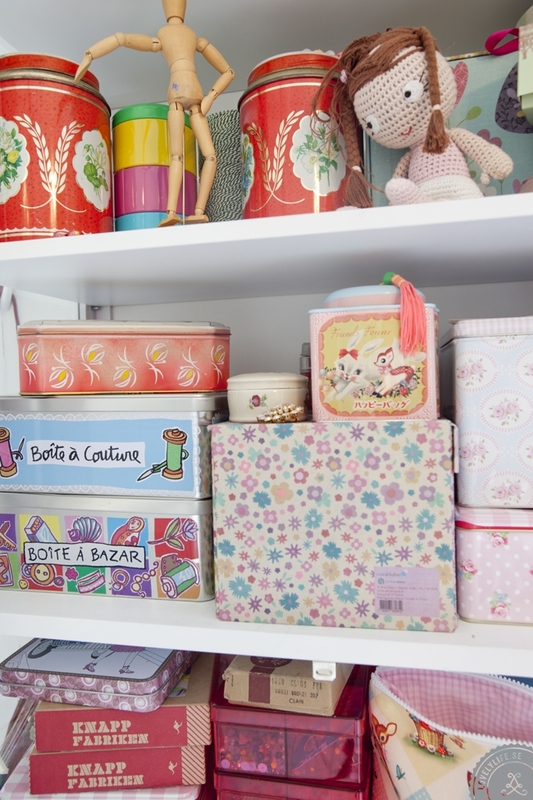 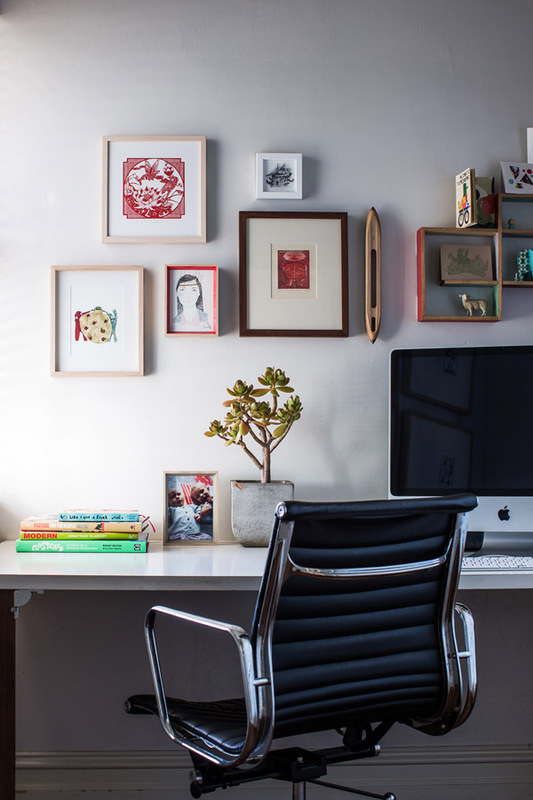 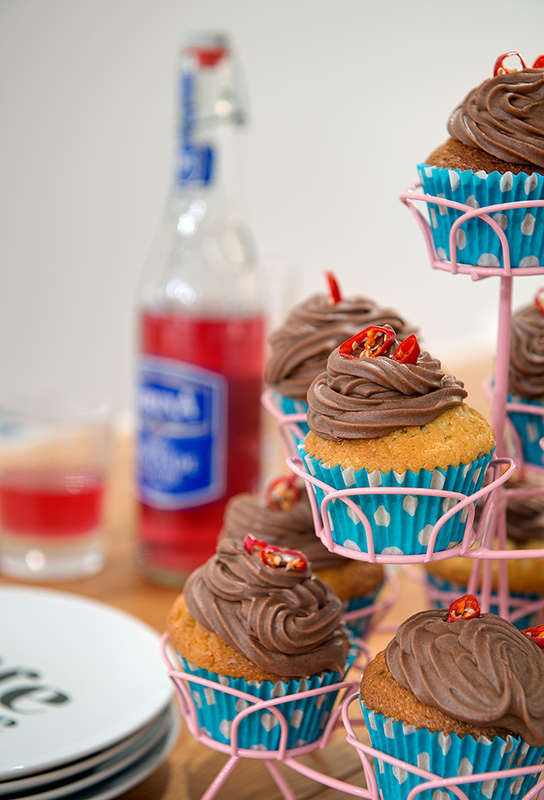 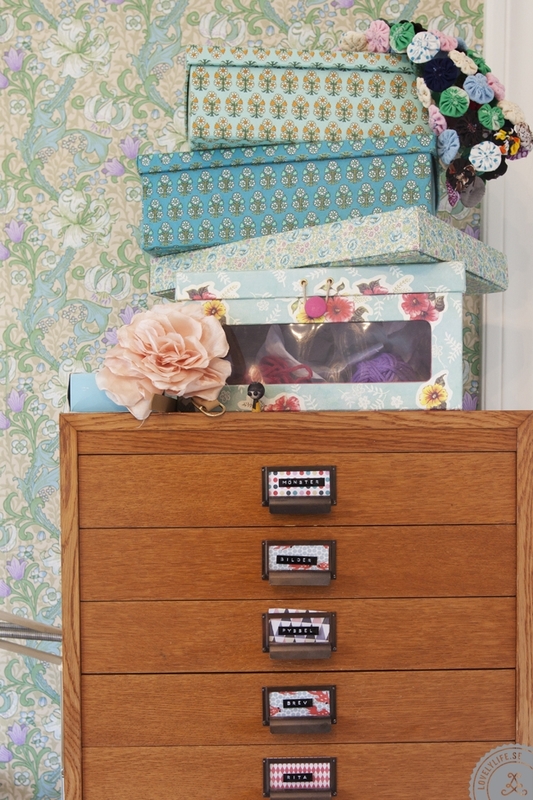 She runs the blog and web store Mokkasin and uses her home’s basement for shop’s inventory and sometimes photo studio. 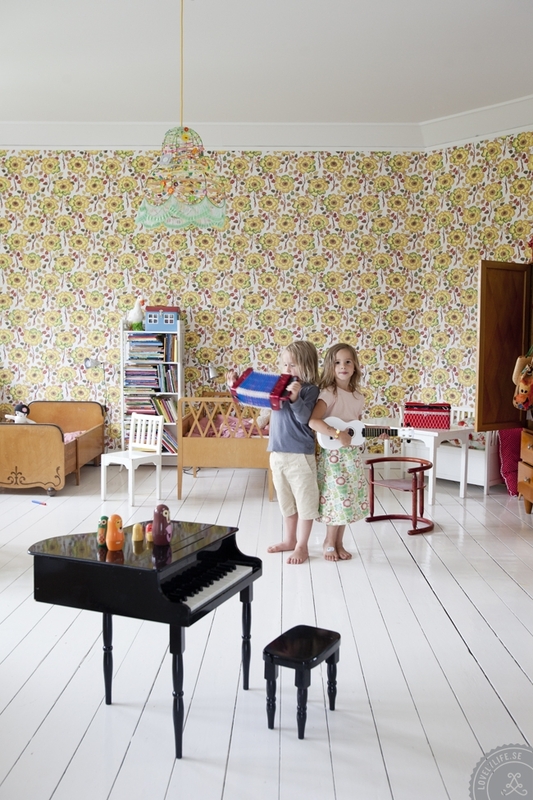 The house was first not so pretty, and everything had to be changed or renovated to become the colourful and joyful playground you see. 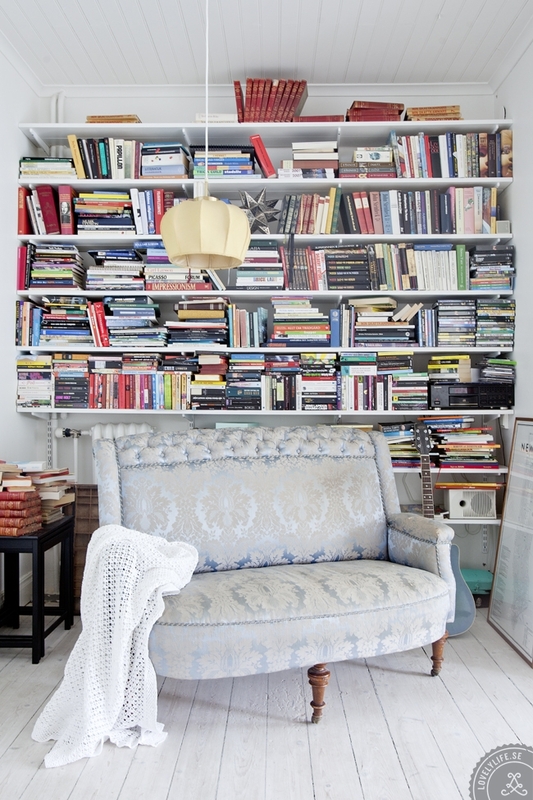 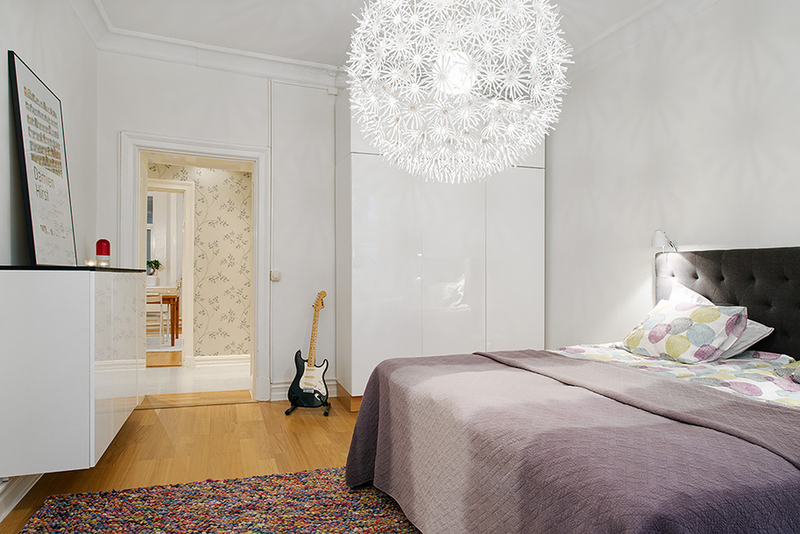 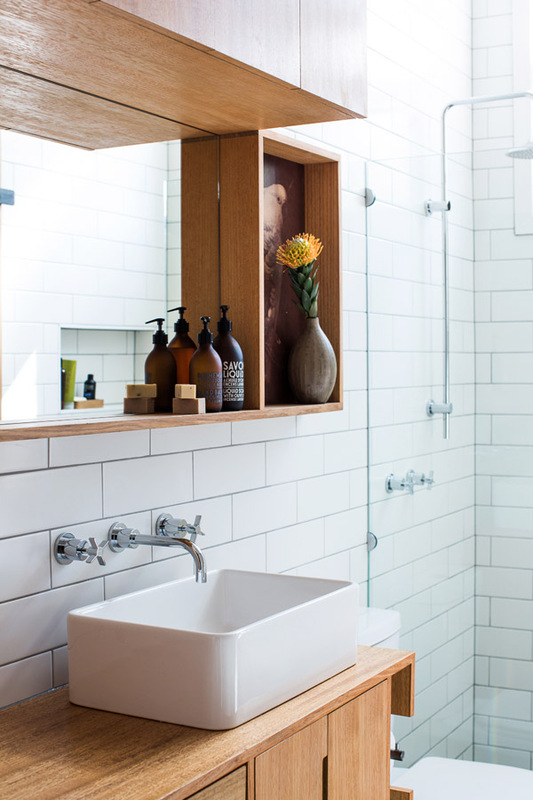 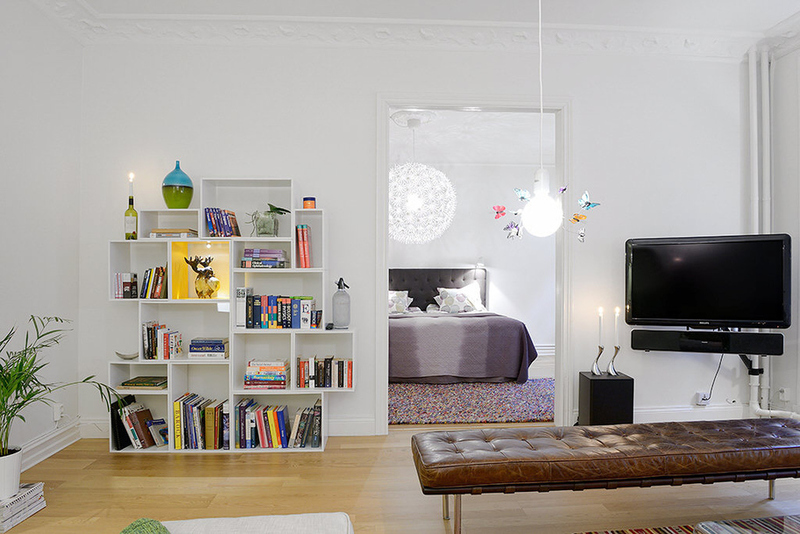 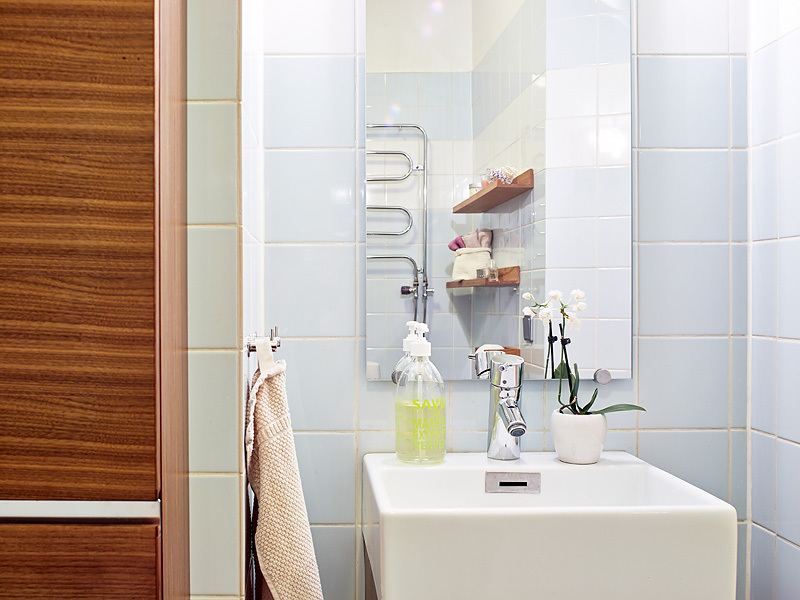 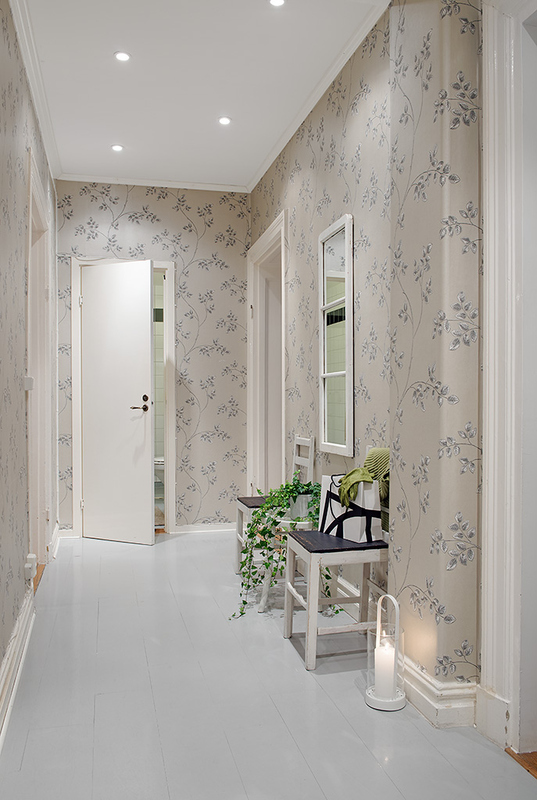 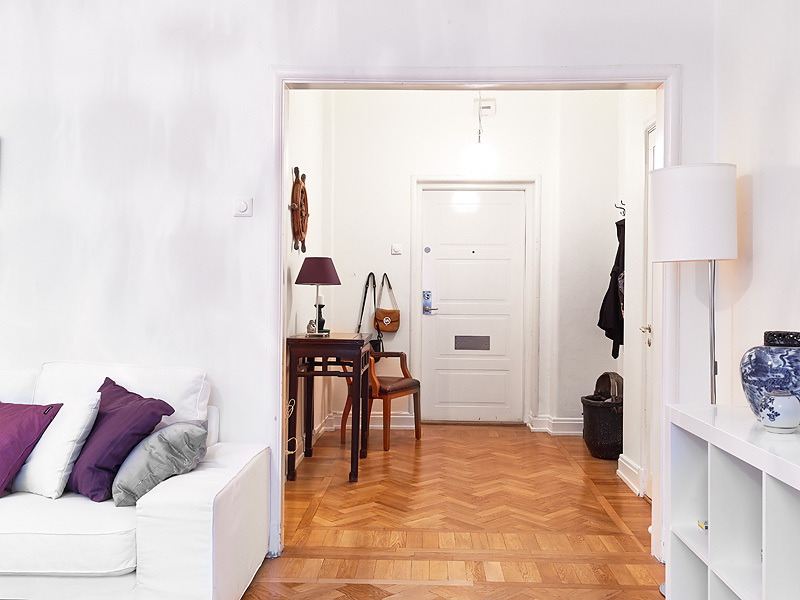 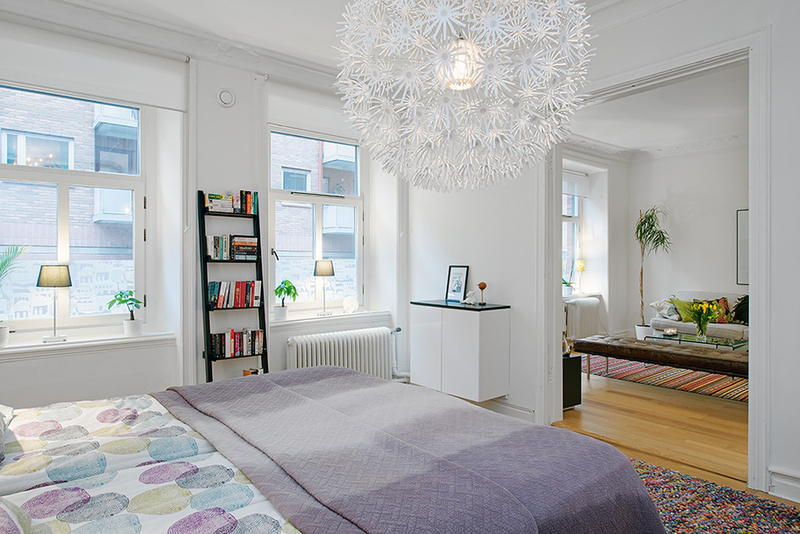 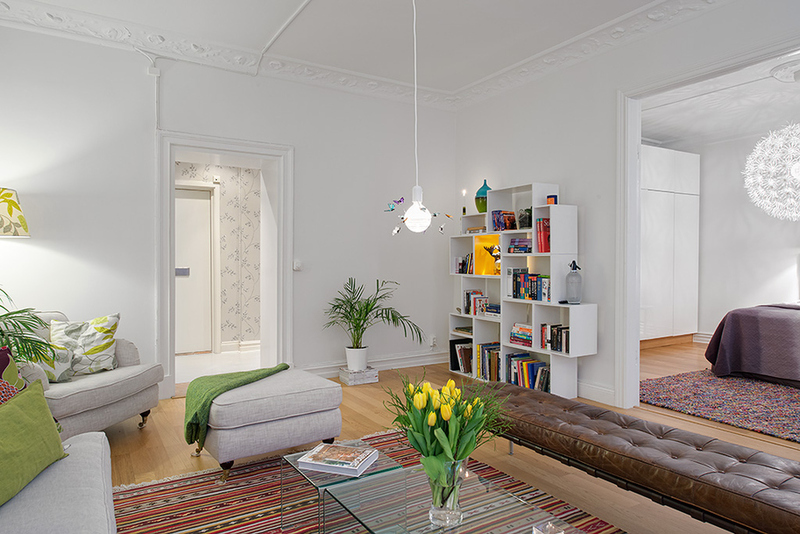 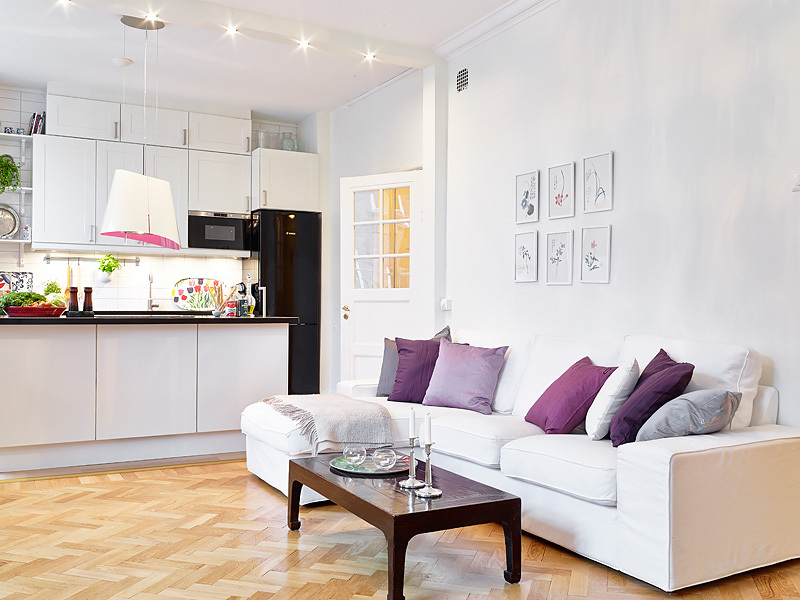 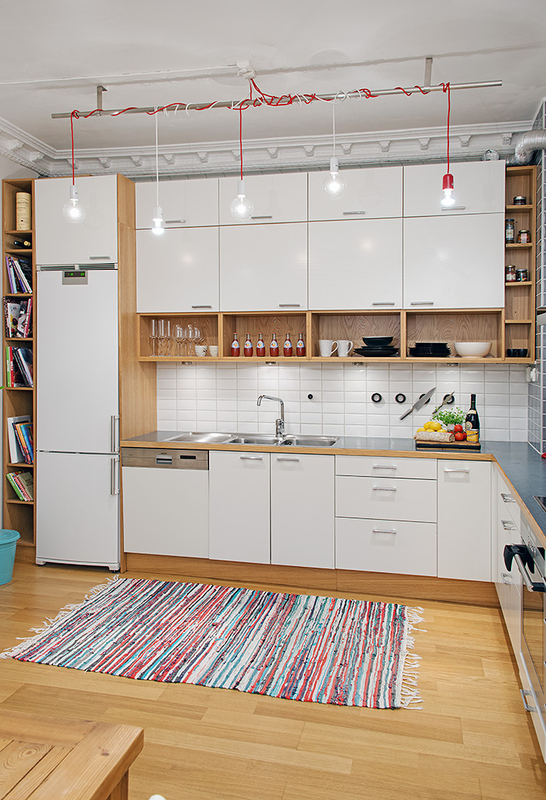 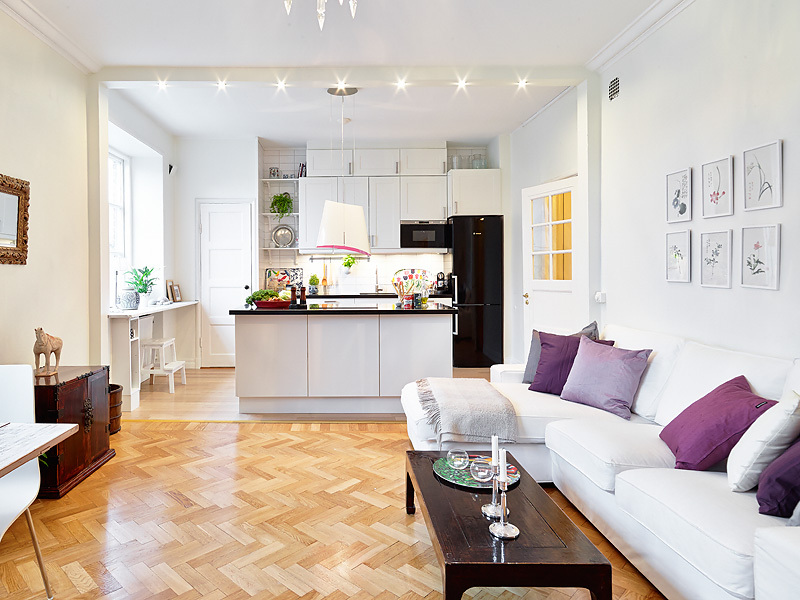 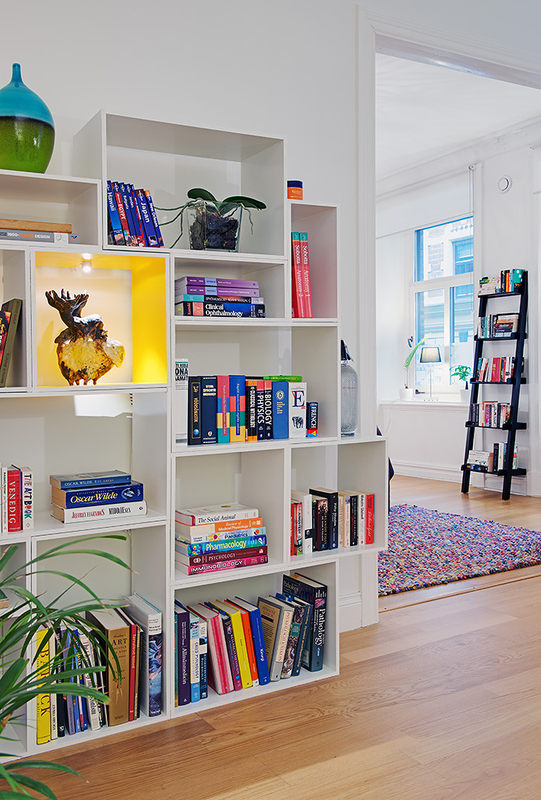 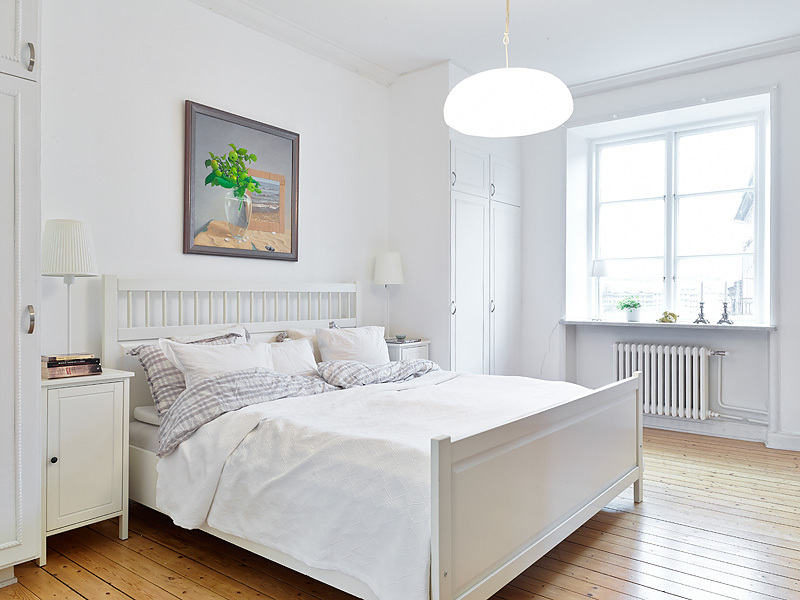 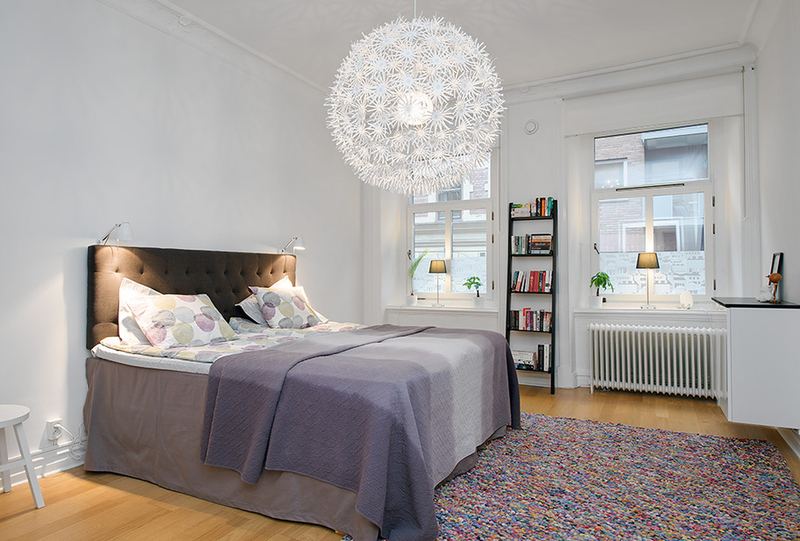 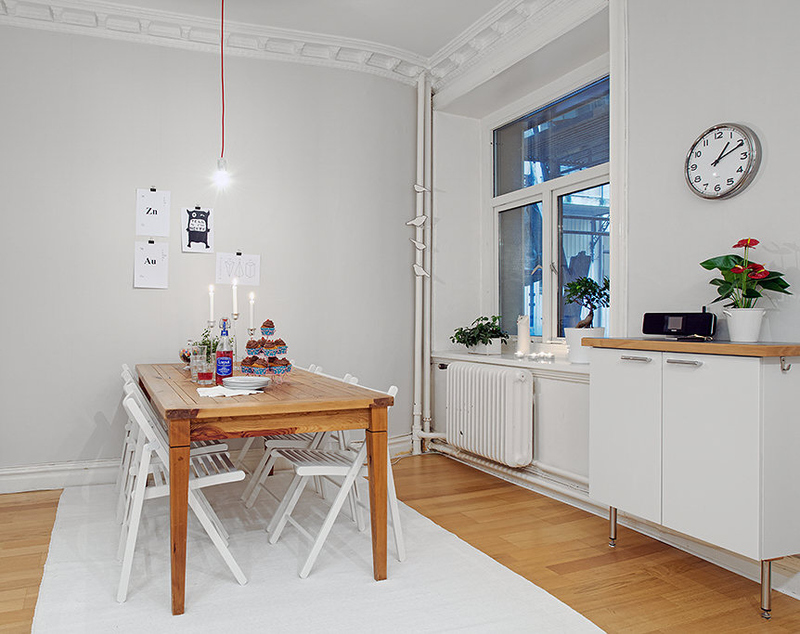 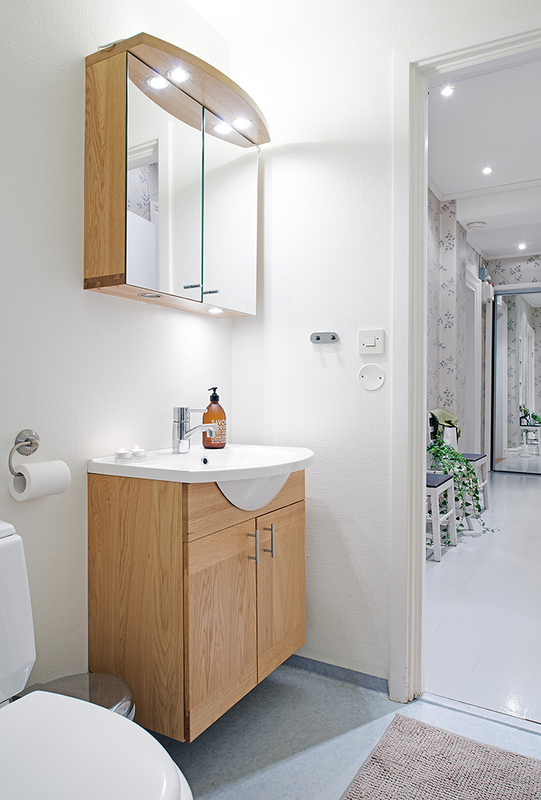 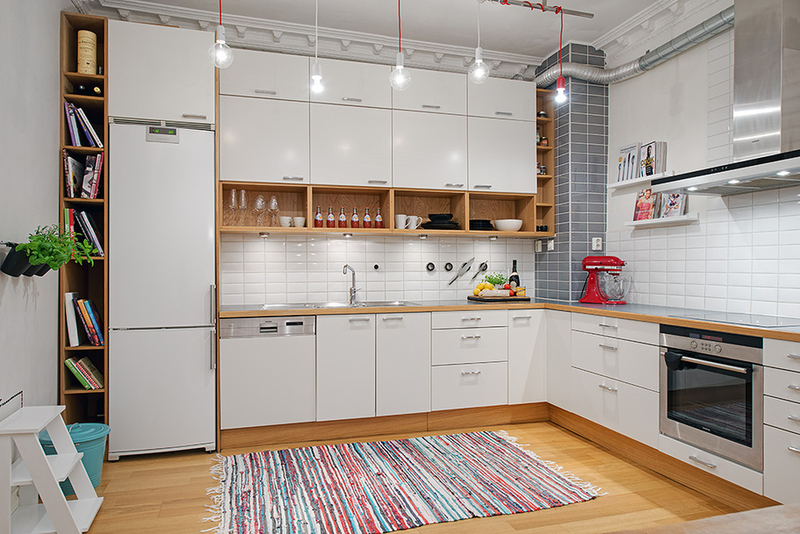 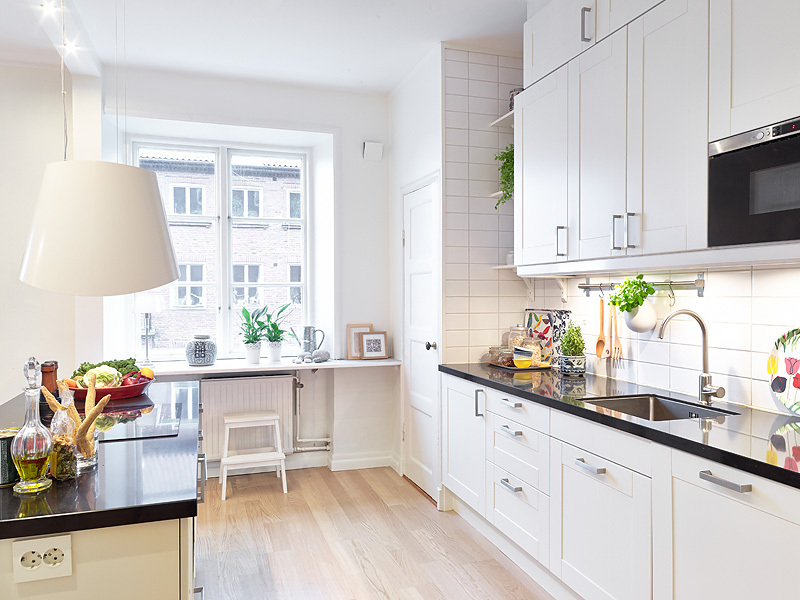 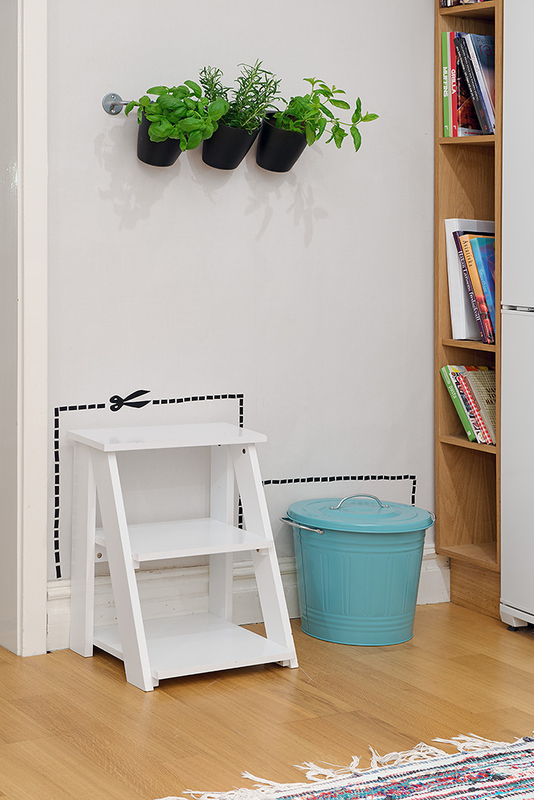 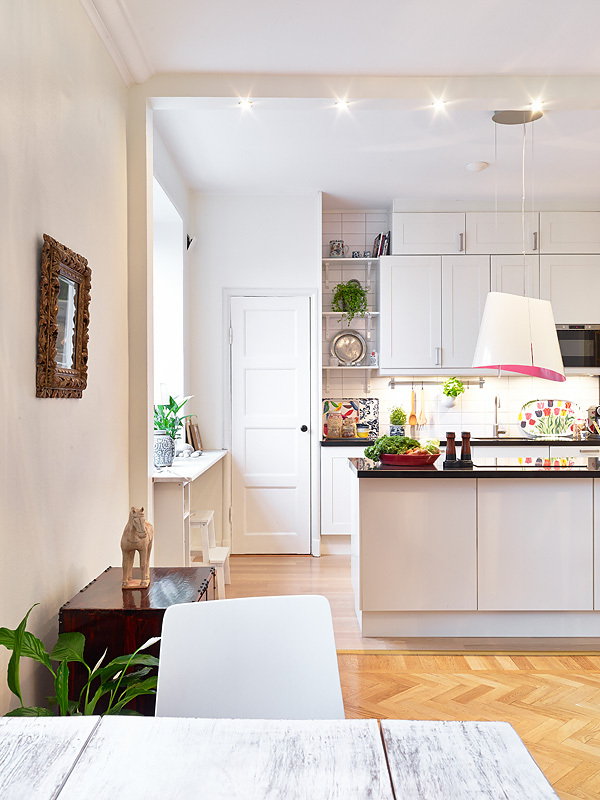 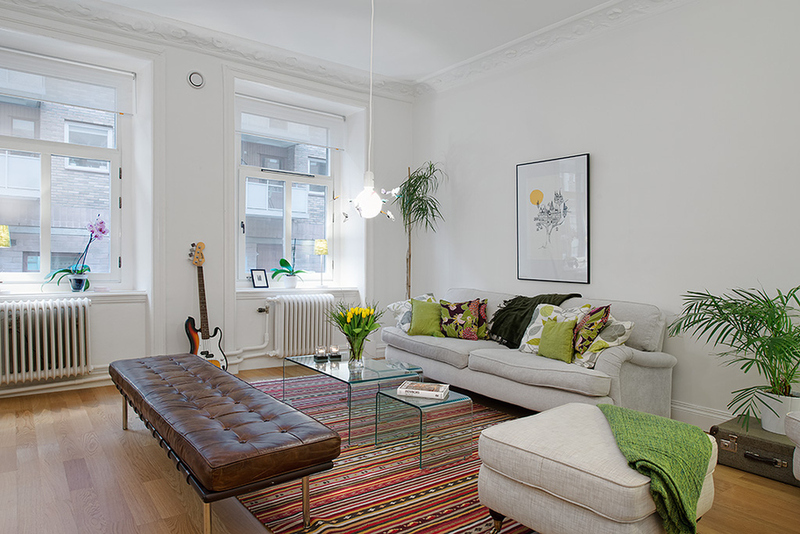 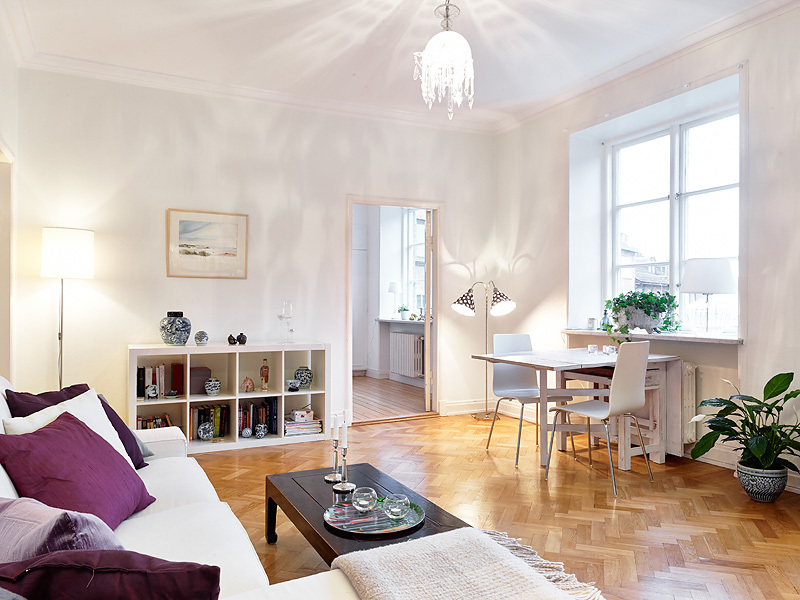 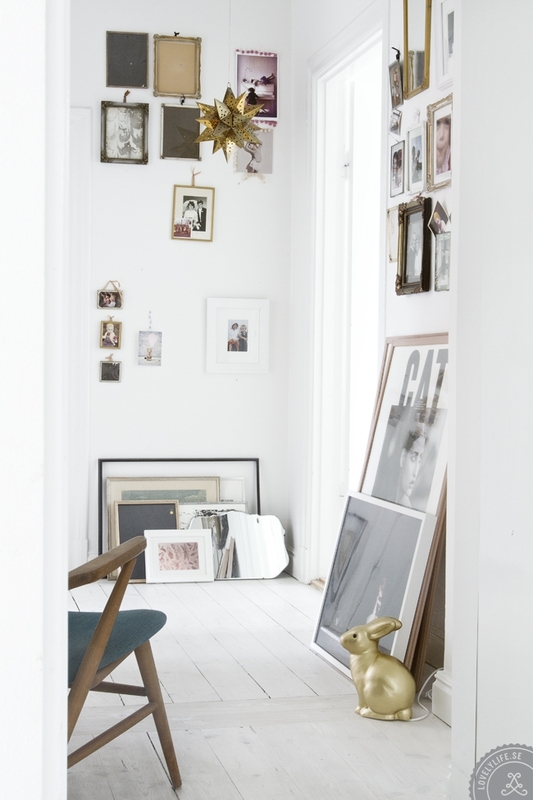 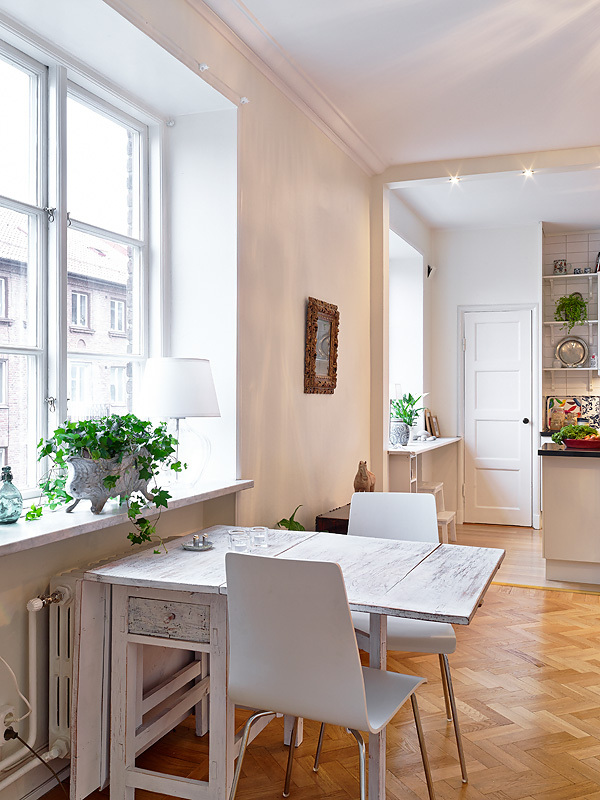 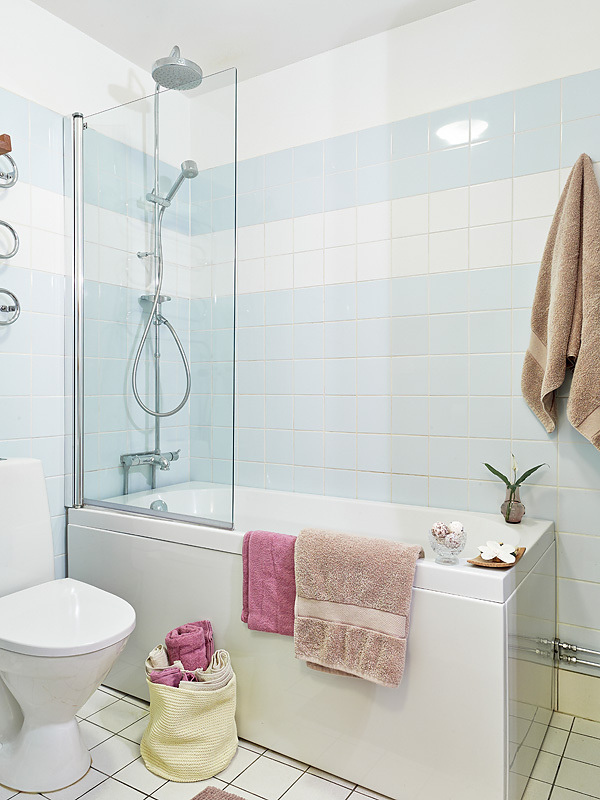 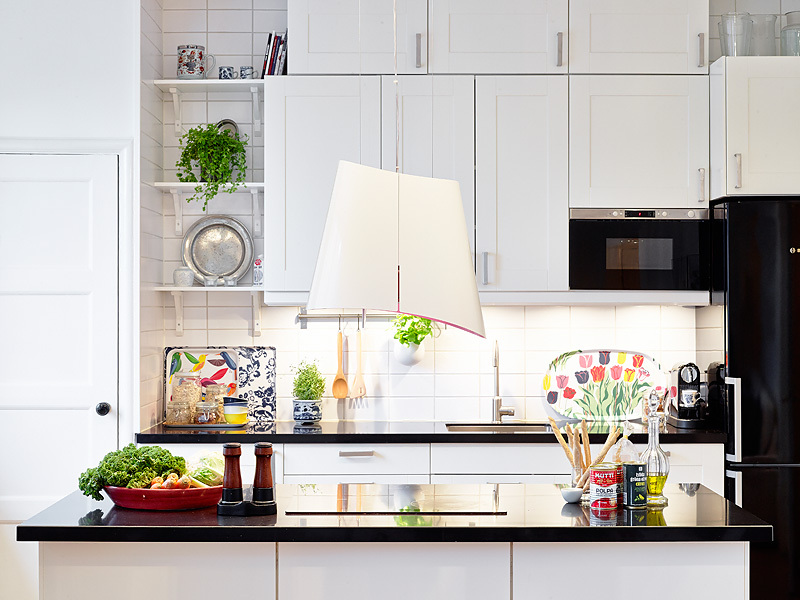 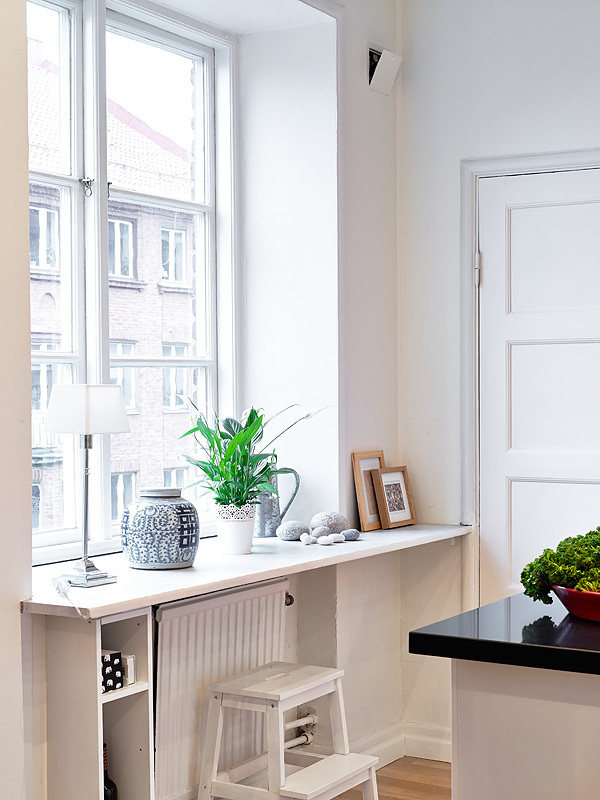 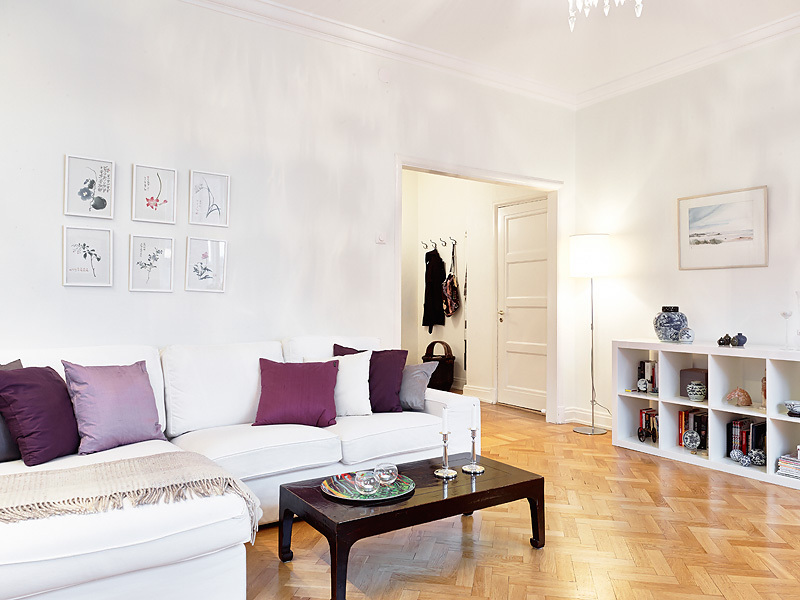 This lovely 67 sqm apartment is situated in Johanneberg, in the south of Göteborg, Sweden. 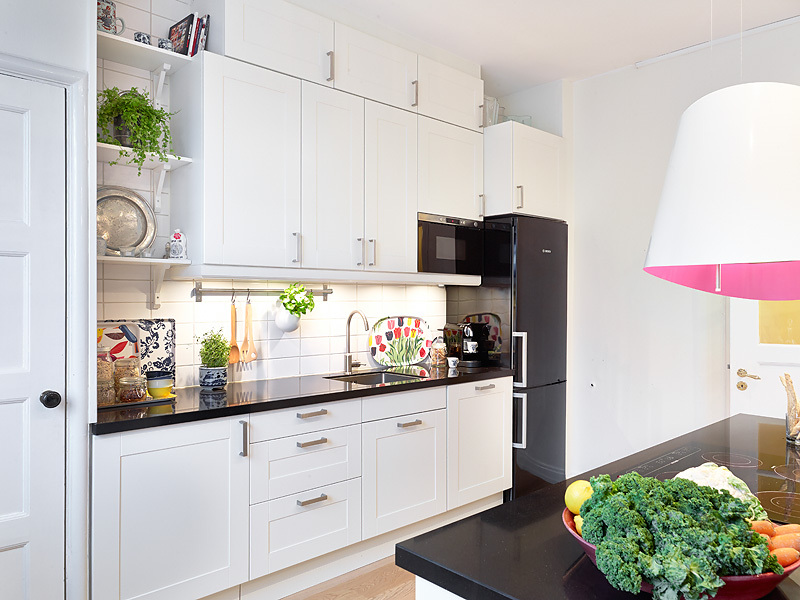 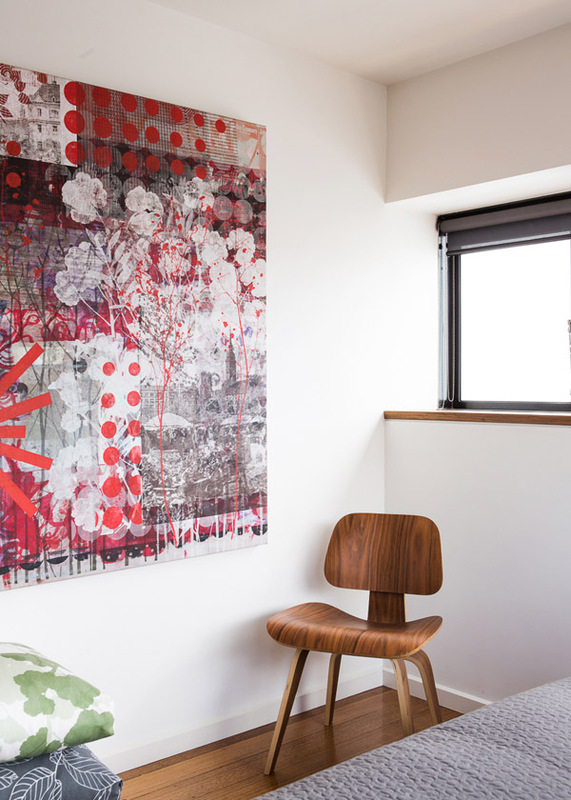 Very bright, this home is characterized by the Scandinavian style with soft touches of colours that pop against all the white. 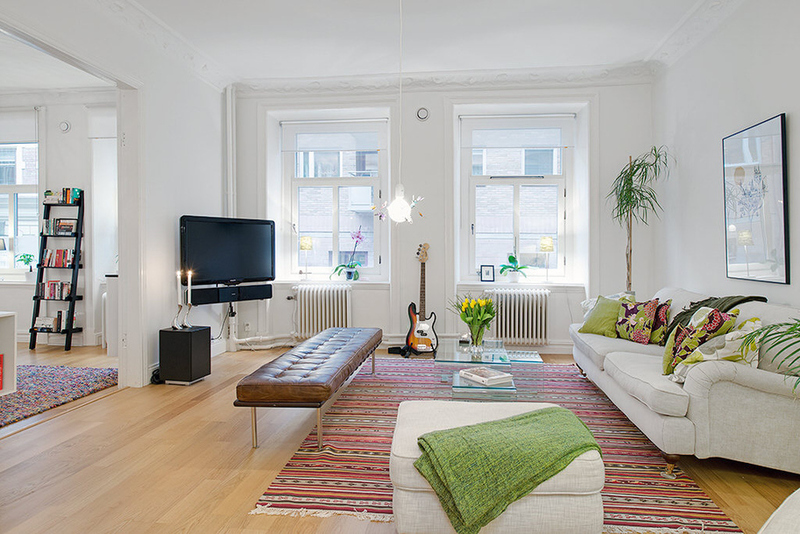 The wall between the kitchen and the living room was taken down to create a big open space.